Hey guys! 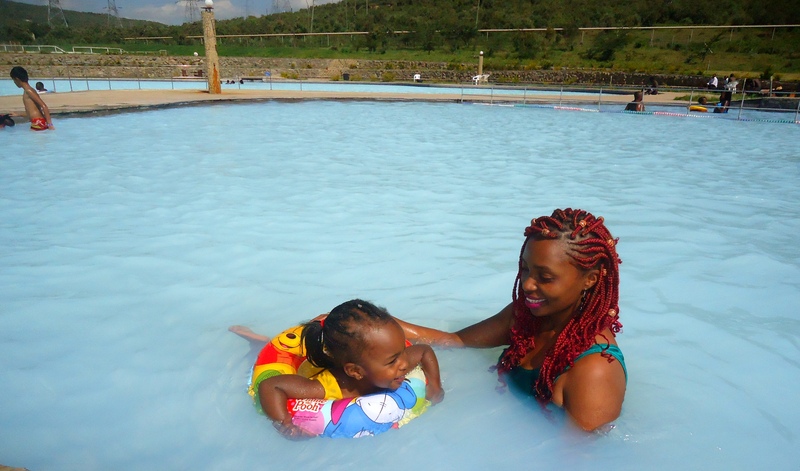 Over the weekend,Sheyces baba turned a year older and to celebrate the day,he drove us to The Geothermal Spa in Naivasha.Funny enough we had celebrated his previous birthday at the spa but the lil miss was only one year and she was not that conversant with the big water masses. But this year,she did not want to leave the water and she sure did have a good time. 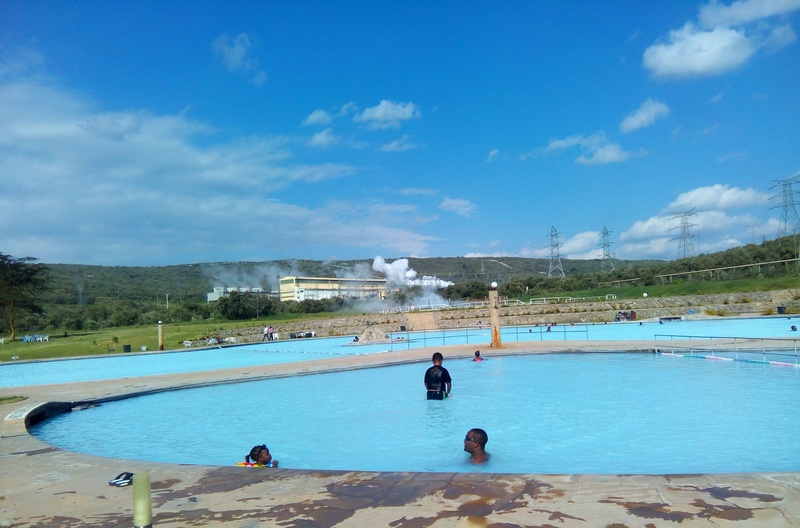 The Geothermal spa has been there for about 3years now and is one of those places you just have to make time for and visit.The water has natural nutrients/minerals which are good for your skin and it is awesomely steamy (if there is anything like that but i know you get the point). 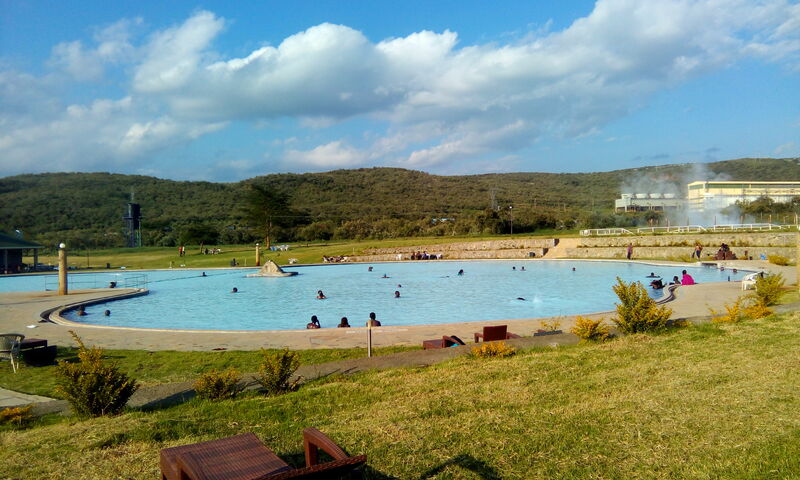 It offers you a therapeutic swim.Trust me. 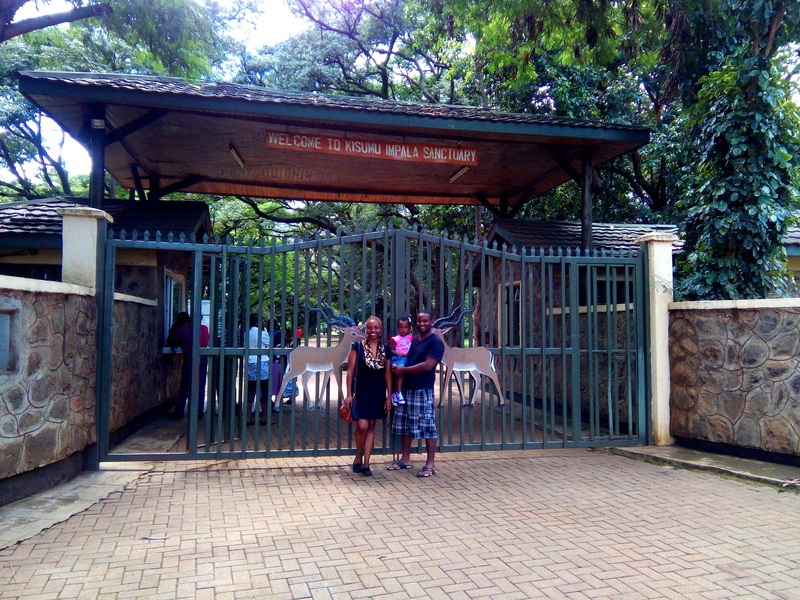 We prefer going through Hells Gate to access the spa but you can use the KWS(Kenya wildlife service) gate if you are not interested in a game drive,although the charges will still apply. 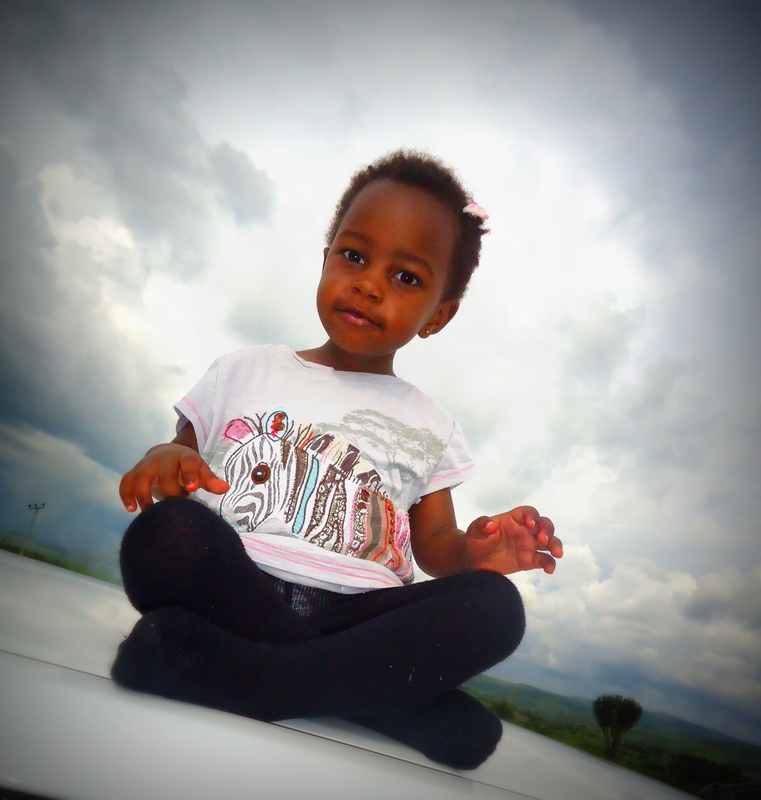 Sheyce enjoyed the game drive because of the animals and she got to cheer her baba on as he climbed this very gynomous rock ,and he did nail it. 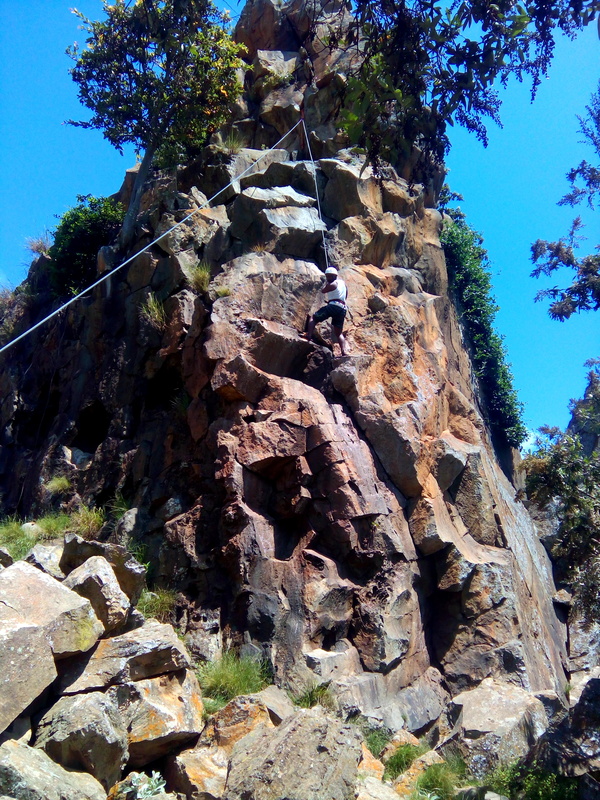 In Hells gate you can also cycle all round the park and explore the George with the help of a tour guide then go cool off at the spa. 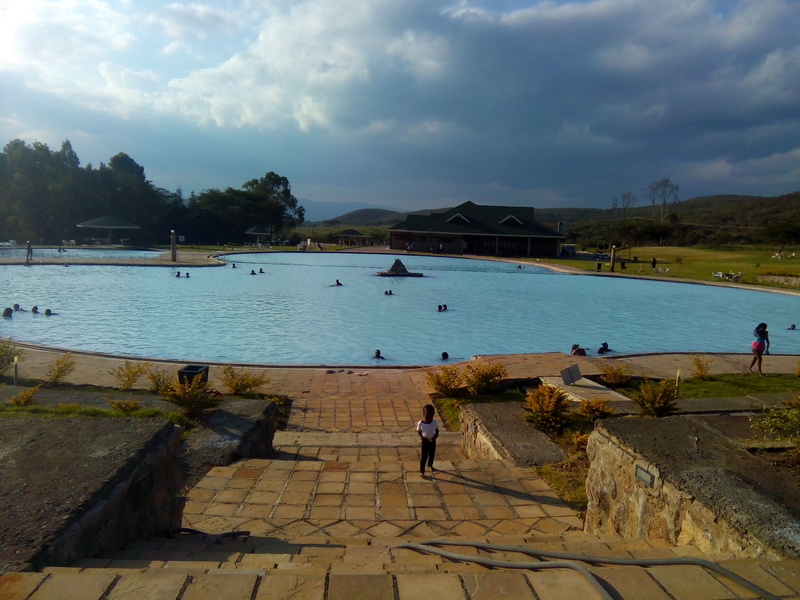 What is so cool about the spa is how beaaaautiful the view is,it is breathtaking plus the feel of the water,simply amazing.And you get to carry your own food,drinks and have a picnic within the grounds after your spa session with no extra fee. There is a restaurant for those who want to make orders and the prices are completely affordable. 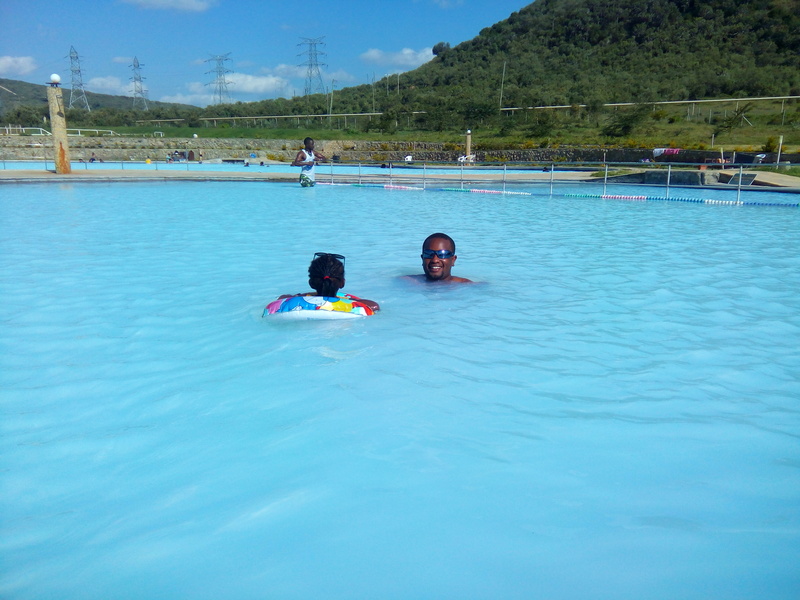 Now,Make a date with the Natural Spa and be sure to thank me later for the amazing experience…. ..Happy New Month guys! well we are just on the the 12th day of the month,so i believe it is still new,sort of. 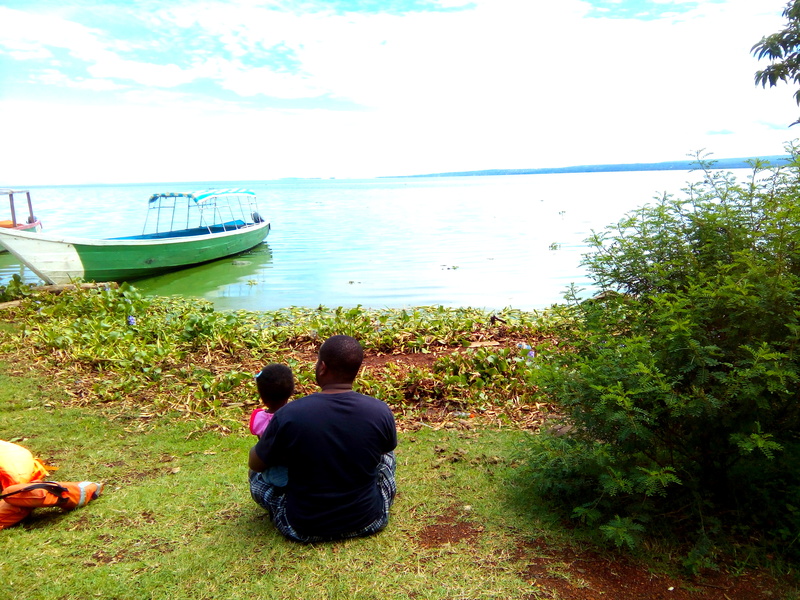 We started off our month with a really awesome trip to the Lake side,where the best tasting fish in Kenya comes from; Kisumu County or should i go with Kisumu Dala (insert a proper Luo Accent). It is a trip we had been planning for a while but something would always come up and we would end up pushing the trip date,so you can imagine our excitement once the D-day was finally here. 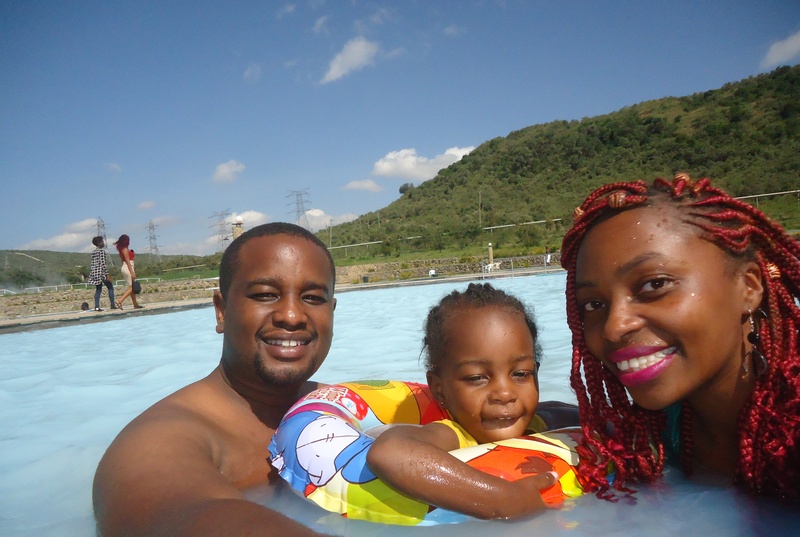 We had spent some quality time on google looking for exciting and fun things to do in Kisumu ,where to visit and the shortest route to get us there especially with a toddler on board.We left Kijabe at around 10Am and we agreed to not make as many stops,but by the time we were getting to the flyover pizza inn,we all needed a bathroom break which was just hilarious because it is literally a 10minutes drive from home and we barely were even quarter way the kilometers we were needed to cover to Kisumu. 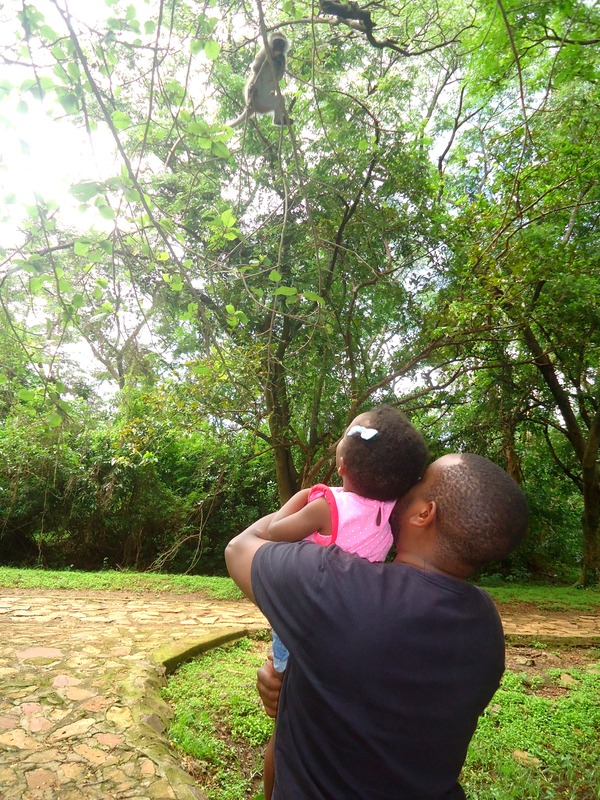 We embarked on our journey which was swift all the way to Kericho Town and at-least the little lady fell asleep on her seat.Kericho County is one of the most beautiful places i have been to in This Country Yet. 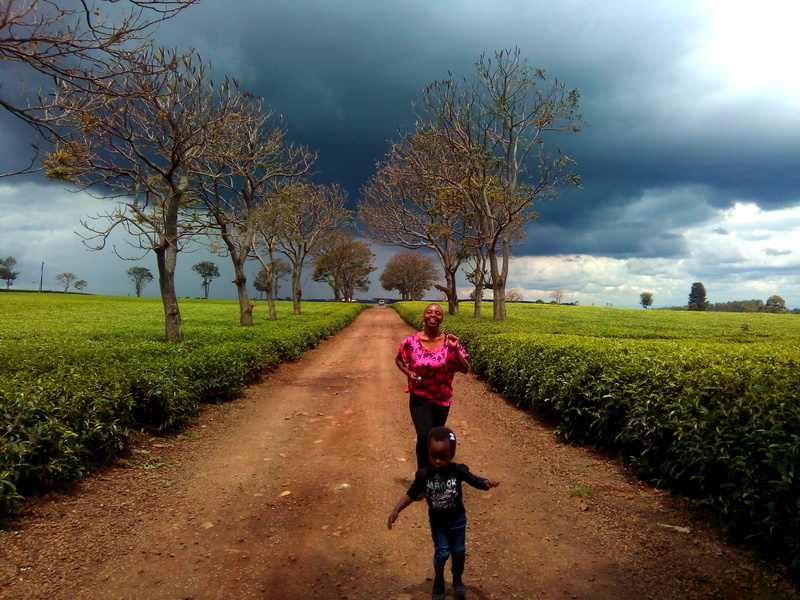 The green tea farms in the highlands,the forests,the roads,the little houses in the middle of the tea farms,the climate,the scenery ,just amazing,trust me; you will want to relocate to Kericho when you lay your eyes on its beauty. 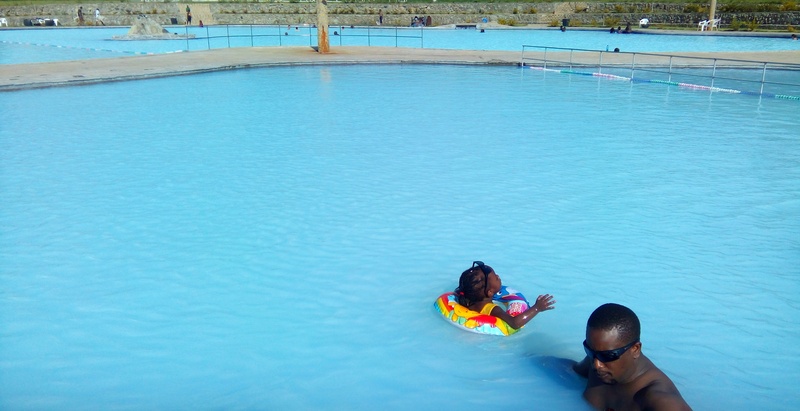 The town is not so big but it has everything you need from health centers,banks,supermarkets and a mall.We would have loved to spend alittle more time there but time was not on our side and we had to make our way to Kisumu in which our google maps were saying its just an hour away. Just after a few kilometers drive,maybe 10kilometres or less we were stopped by the not so friendly Kenyan Traffic police who insisted we were driving at a speed of 82km/hr instead of the recommended 50km/hr ,and gave us the time that our cameras showed we were taking photos in Kericho but we all know what “afande” says,goes; so we had to co-operate and pay a significant bail amount.But it was okay,this was maybe going to be our only chance to experience Kisumu City. Within an Hours drive,we were finally in Kisumu City,when getting into the city you are welcomed by this gynomous Nakumatt Mega City. 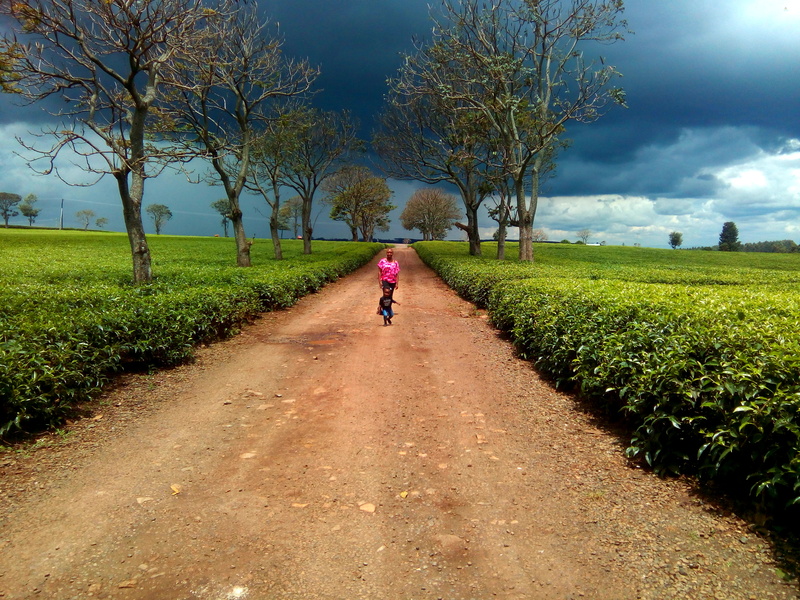 We picked a few things then headed to Maseno. 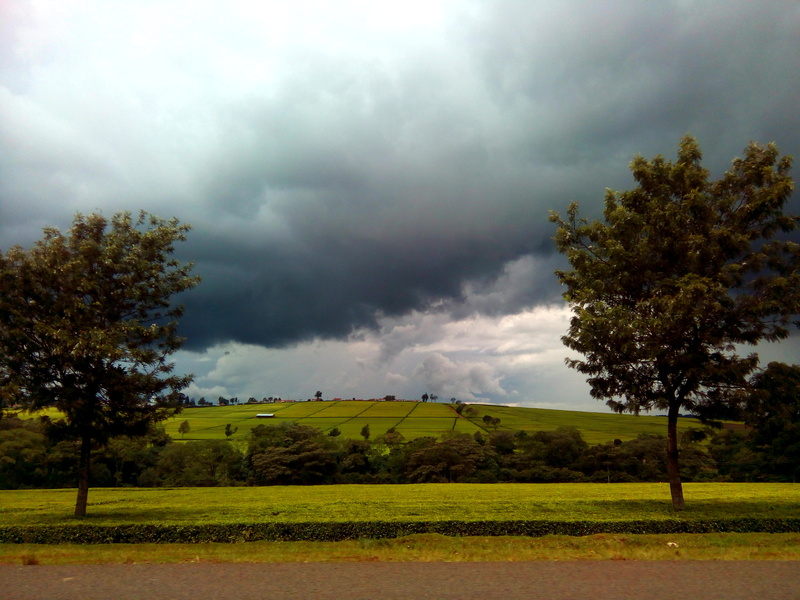 The rains in Kisumu though,too scary especially when driving at night,they are very heavy rains and weirdly the atmosphere stays warm,i guess that is how it is in tropical areas.We Checked into our hotel rooms,went out for dinner then retired to bed. On Saturday we were up quite early and ready to explore the city. 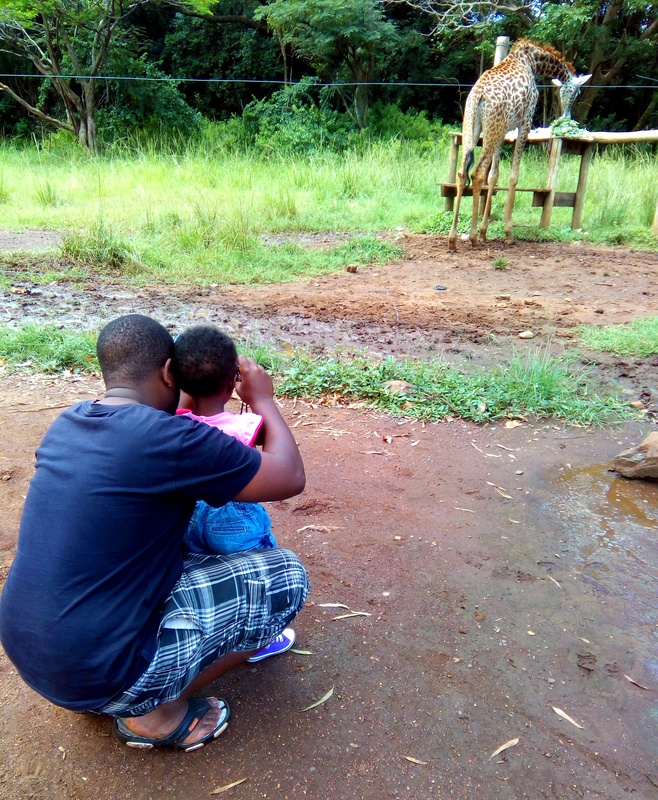 Our first stop was Impala Sanctuary which is just a few kilometers out of town.It is the only animal orphanage in Kisumu with caged lions,cheetahs,buffaloes,leopards,monkeys ,ostriches and impalas. 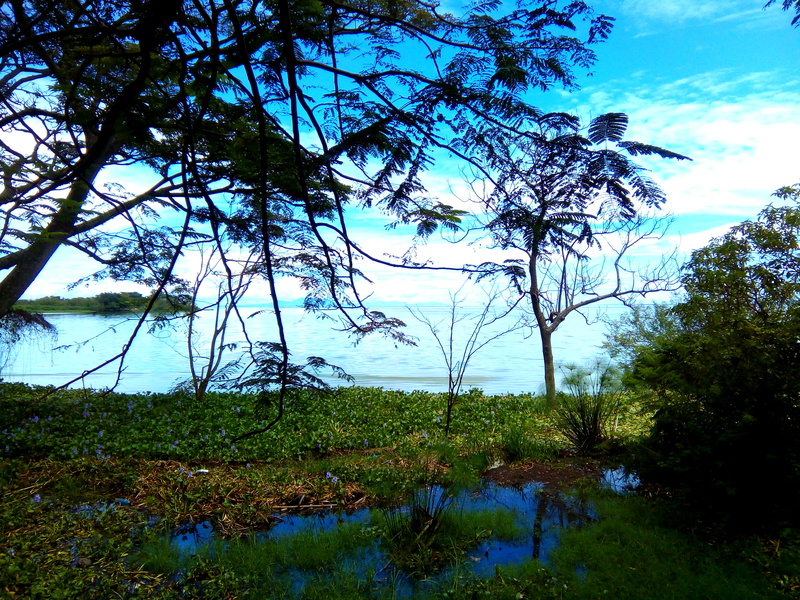 It also has this amazingly beautiful view of Lake Victoria. That view is to die for,its insanely beautiful. 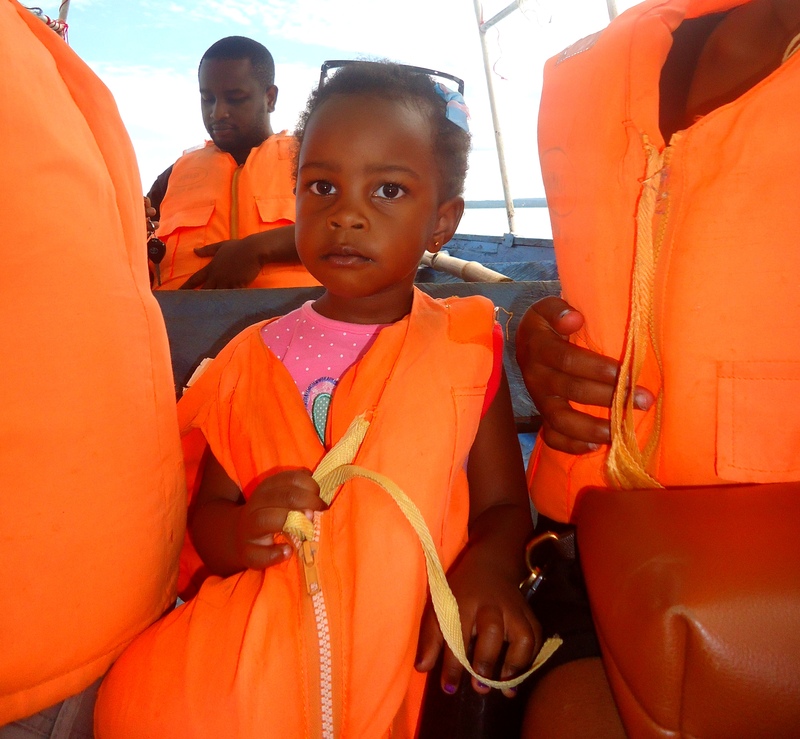 It is quite a big park and we took about two hours to trail all round and see all animals then finished with this awesome boat ride that i was so terrified of , but i eventually warmed up and ended up loving the experience. 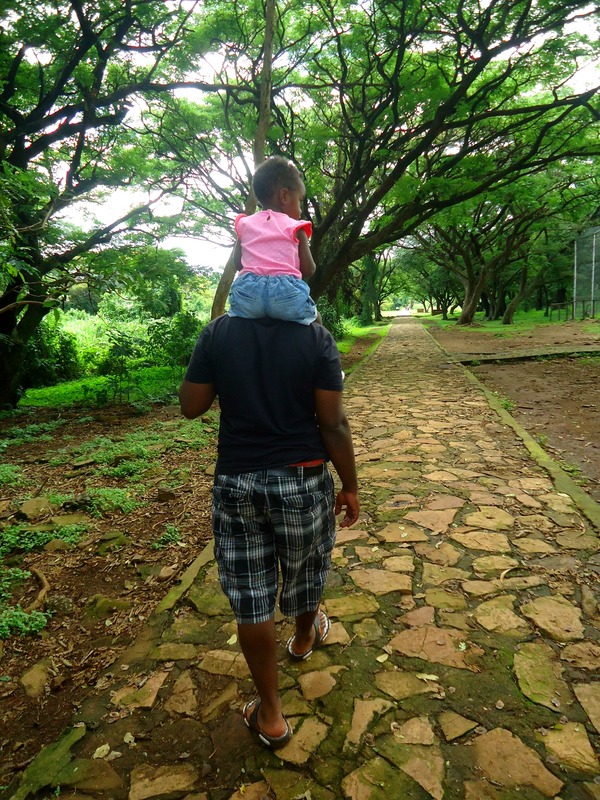 All this time the little miss was cool and seemed to be enjoying her visit but her feet kept failing her.lol.she wanted to be lifted all the time but in her excuse,she was scared of the dragon flies “dudu” which were in plenty. 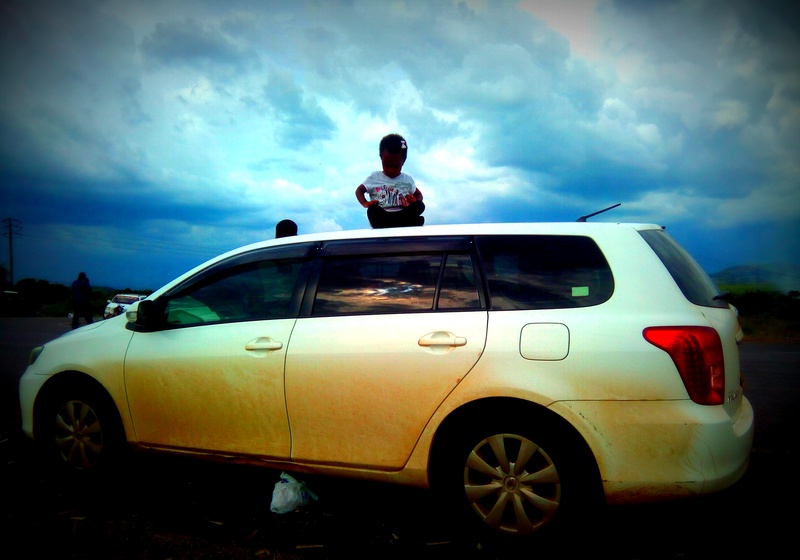 We then tried to find our way to hippo point but the roads were pretty bad and we couldn’t imagine getting stuck and maybe end up all muddy ourselves,so we decided to make a pass on that one and head to the city for lunch. Now this is where frustrations started,maybe it was us who did not know where to look but we just couldn’t find a place to have lunch. Yes there is Java,Acacia hotel,Kisumu Hotel and a couple more joints but no place seemed to favor our lunch budget.lol.So we concluded that in Kisumu you either dine in a high end restaurant or in a kibanda. There is no average,and by average i mean something like pizza inn,debonair ,chic king, such franchises. 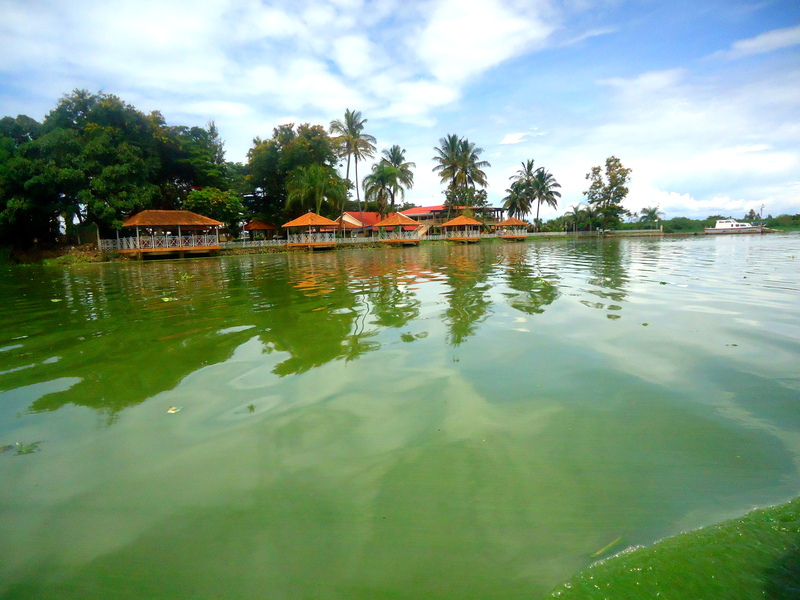 After Lunch we went to the nearest beach which was Dunga Beach and again we were disappointed.There is no proper waterfront (whyyyyyyyy??? 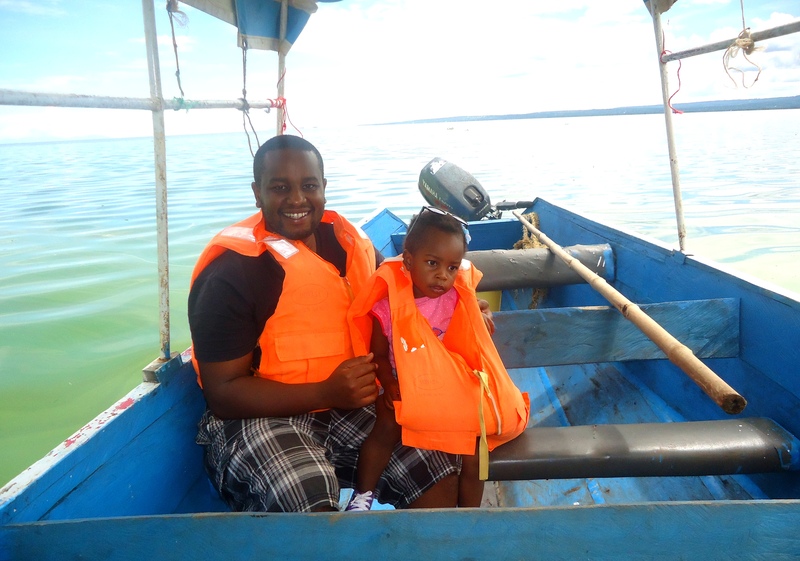 somebody tell the kisumu county government to invest in good waterfronts,please!!!) 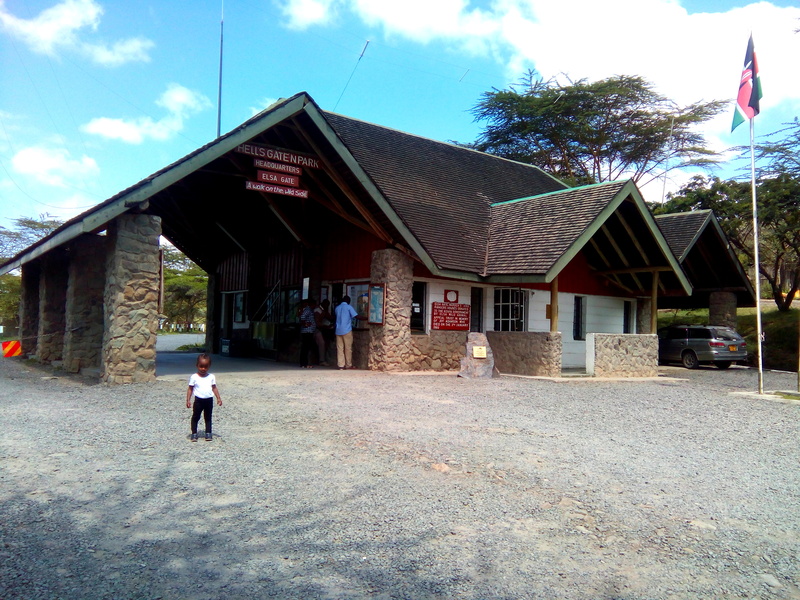 .There were so many iron sheet kiosks and the only okay restaurant we attempted to enter,was completely by the lake shore and to make it worse there was a car wash right outside making it impossible to make it into this kiosk without gumboots at-least. 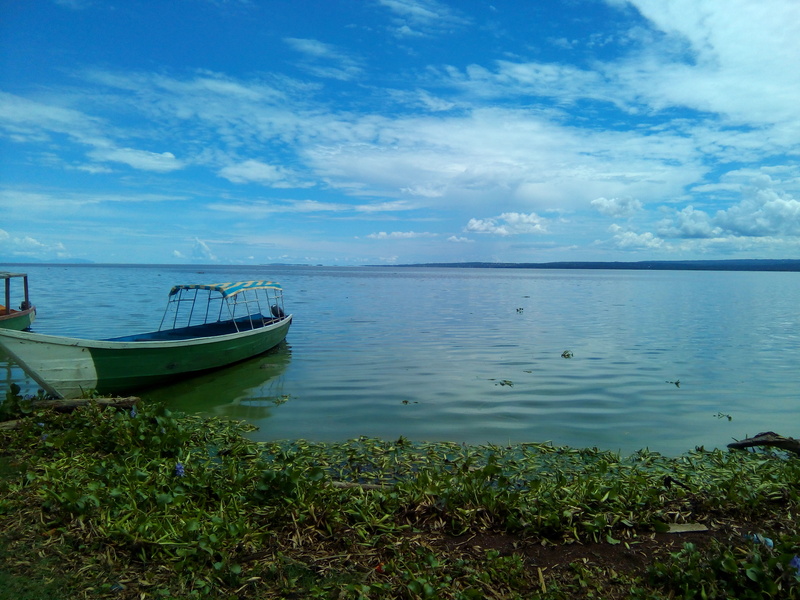 Do not get me wrong,Kisumu is a beautiful city,trust me,it is ,but a few improvements and developments need to take place to attract more tourists. 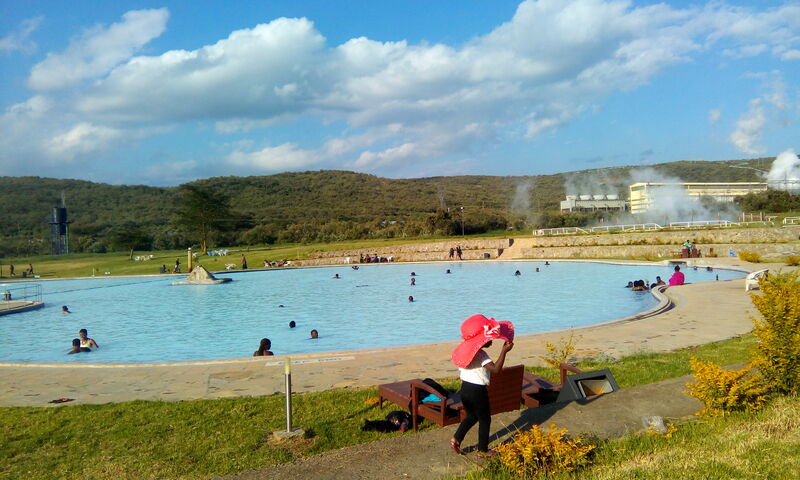 Look at places like Nakuru and Naivasha,who does not love the waterfronts in this areas? Kisumu needs to work on a waterfront project. 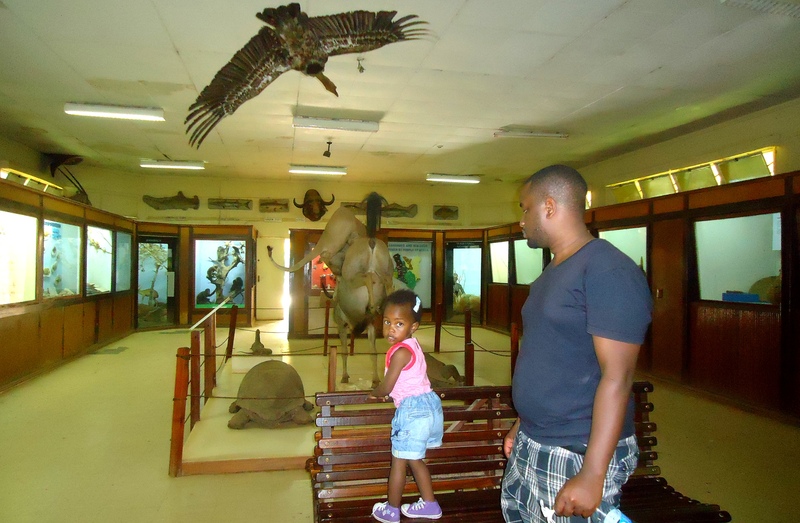 Lastly we headed to the Kisumu Museum,there was not so much to see but if you would like to know one or two things about the Luo community,then this is the right place to visit. 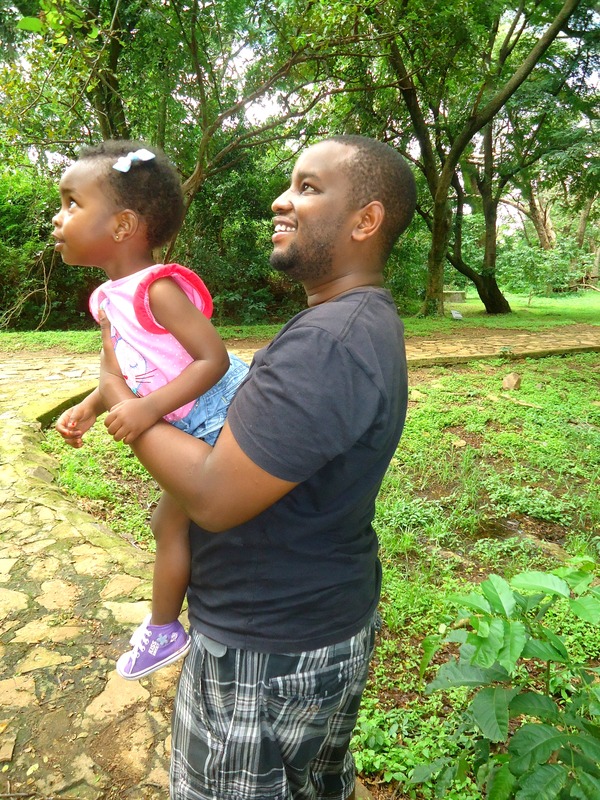 We were to visit Kit Mikayi (crying stone) and Lwangni beach but we ran out of time. 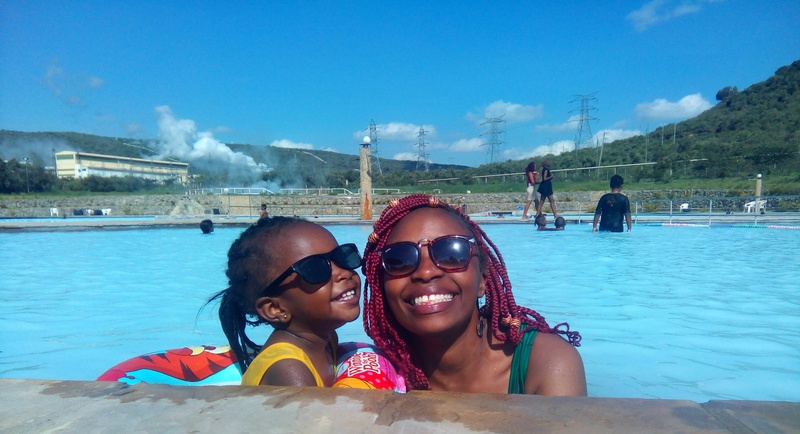 We loved our trip so much,the drive to Kisumu got us to see the beauty of our Country Kenya and we would love to do it again. 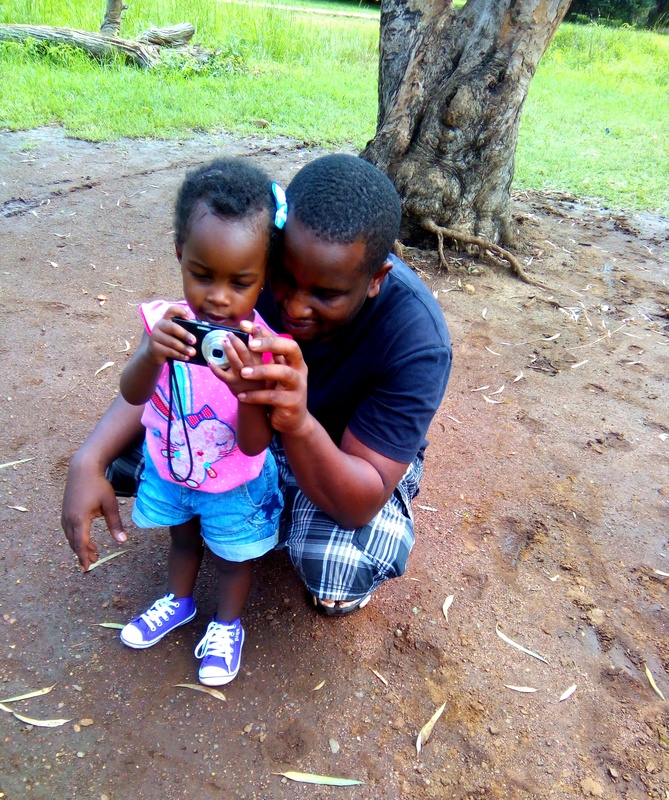 Surprisingly the little miss did not get as tired as we thought she would and now she cant stop telling her grandparents about ” kisuuuumu daaala’ ,she says it just like a luo man does,its too cute. I hope you did enjoy your read and am sorry the post had to be that long . 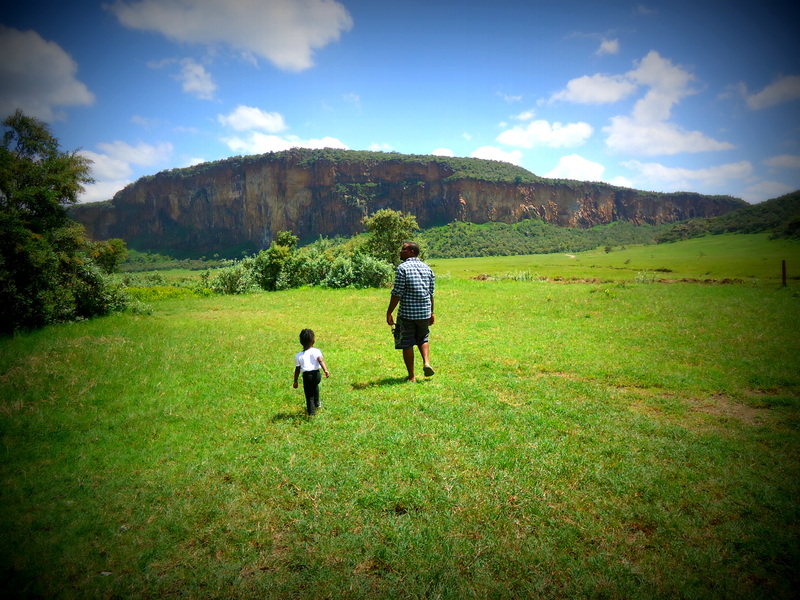 Lets encourage local tourism and help brand our beautiful country Kenya. 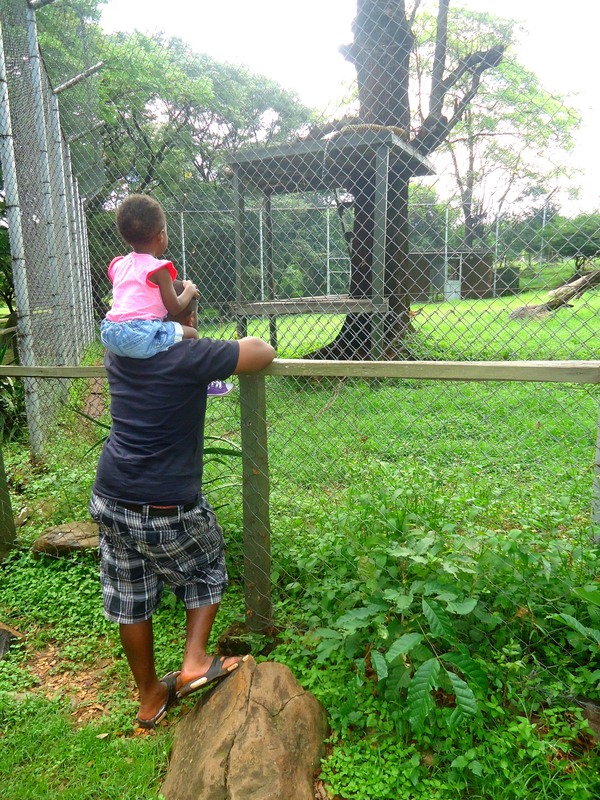 There is always something new to see,to learn and a new place to visit. 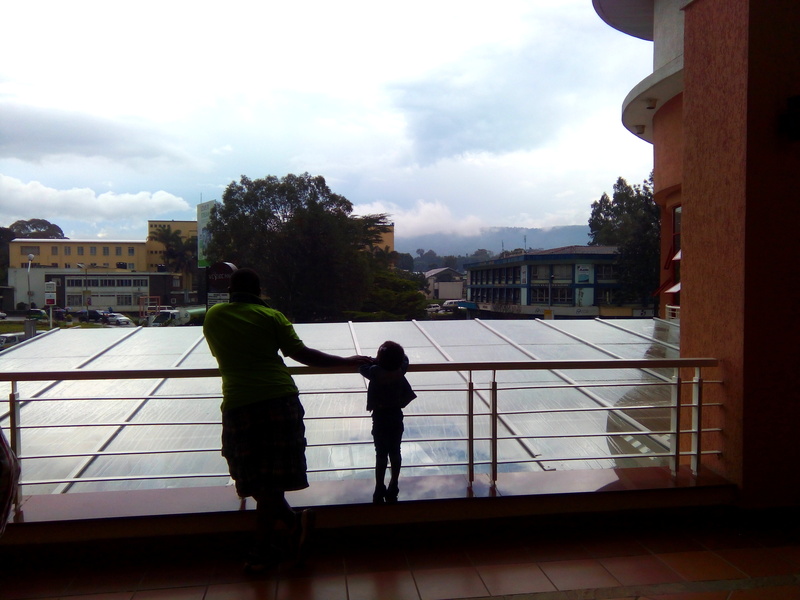 In a mall during a stop over in Nakuru (last picture) . Thank you for always stopping by. 🙂 Subscribe not to miss any of our post and follow us on Instagram and Facebook.